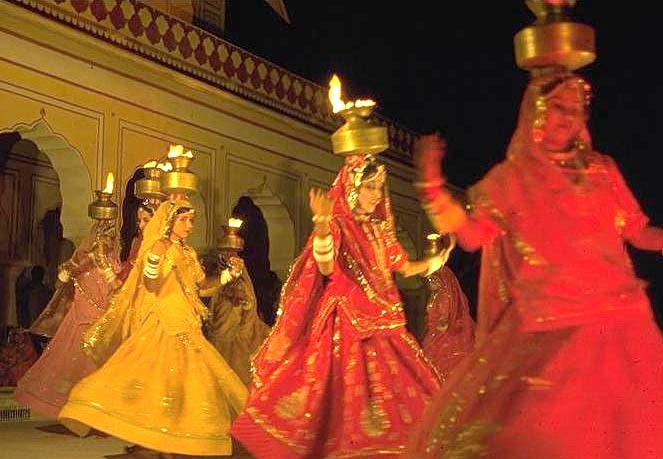 Chari Dance, Rajasthan: Chari is a dance form with effortless hand and foot movements while balancing brass pots kept on the heads of the dancers. Often the dancers keep ignited cottonseed on the brass pot to provide a special effect to the dance. Dancers while balancing brass pots on their heads perform various steps & dance to gain perfect patterns of movements with their hands.